Milan has been elected as the Italian city with the highest quality of life, according to a chart published on the Sole 24 Ore a few days ago. This fact is surely not a big surprise: apart from being the capital of finance and fashion, this big metropolis is also an excellence in production and distribution of national goods and it is known for its wide variety of cultural activities. The countless possibilities that Milan offers to its inhabitants in different fields of the everyday life enables the city to be considered leader in our country for modernity and efficiency of services and allows it to face an international scenario with other European cities. Being Milan the city of great working opportunities and cultural development, it is easy to understand why fields like design, theater, music and performative arts of any kind are so important to allow people to appreciate not only their culture, but also foreign ones. Given this positive framework, 2019 has been envisioned a great year in terms of cultural exchange among countries with very different traditions, with the aim of investigating lifestyles far from ours. This is surely the case of Italy and Japan, that will merge their habits this upcoming year, thanks to a project named Milano Genius 2019, already introduced as framework co-supported by Switch on Your Creativity (the 6th edition), promoted and developed by the Italian Institute of Culture in Osaka in collaboration with Asian Studies Group as Milan located and partnered organisation. These two municipalities are not stranger to each other: both of them are in fact cities of EXPO (Milan in 2015 and Osaka in 2025) and they also share the status of sister cities. Milano Genius will undoubtedly be a further opportunity for these countries to promote Italian artists, such as musicians, actors, dancers and painters in a series of events and cultural exhibitions between the months January and June. 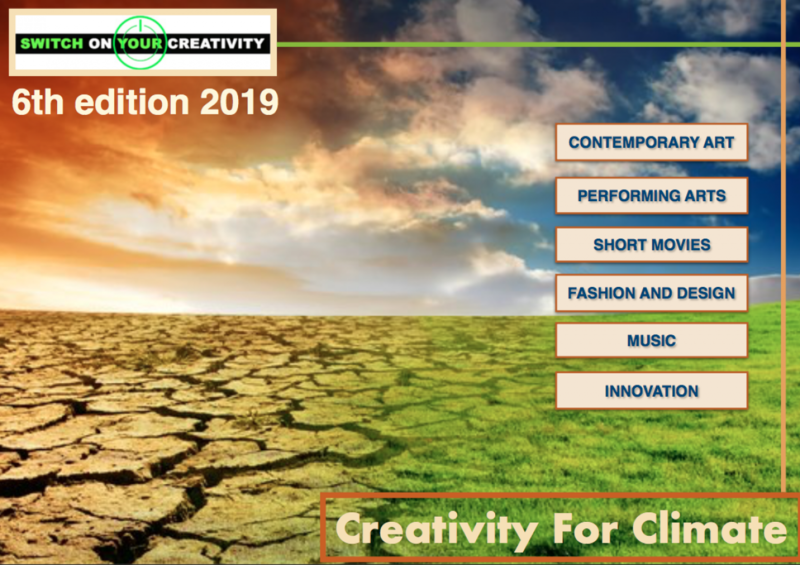 In January the concept of Milano Genius 2019 will be officially presented, whereas in February the main focus will be on contemporary art, through the paintings of Filippo Cristini, a young and talented Italian artist, whom has been promoted also here through Switch on your Creativity hub, joining the 4th edition. The months of March, April and May will be centered, respectively, on design, theater, photography and music, thanks to a variety of proposals, will bring the national culture overseas. An additional aspect of the project is that it aims to be developed in different locations around Osaka, from traditional theaters to more unconventional settings like museums, halls and universities. Here arts, culture and innovation will reach the so called “merging point”, where cultural boundaries of both countries will join to celebrate the essence of culture everywhere and in every form, thanks to a communication system that involves emotions and goes beyond the linguistic aspect. The opening of #DesignAndPlanet exhibition in Osaka at Italian Institute of Culture represents great opportunity for us to introduce the official logo that will follow contents promoted through Switch on Your Creativity’s platform concerning design, in particular those projects that will introduce creative industry’s contents from Milan to the international scenario. We are proud, after five editions mainly managed to collect and support projects in Europe, to develop a new communication tool that can identify and boost youth creativity in Asia starting from Japan, country that always recognised in Milan an important city for creative industry and in particular for contemporary arts and design. The logo’s design represents two circles with open spaces that allow inter-actions between two dimensions, the creative and functional dimensions, because the perspective we want to follow is always something that allow contemporary society to get benefit from design and creativity side to improve concretely some aspects of daily life. The colours of course are the same of Switch on Your Creativity’s logo because #YDD is part of the platform we created to boost and promote youth creativity between Europe and Asia. The presentation will take place today at Festival Tower in Nakanoshima at Spazio Arte managed by Italian Institute of Culture in Osaka during the opening of the exhibition we introduced from April to July through our digital channels (blogsite, social networks, webtv). #DesignAndPlanet, perspectives for sustainability promotes for the first time ever in Japan profiles of designers from Europe and Asia who joined last Milan design Week on april 2018 and it shows well detailed projects described on 18 panels and short movie subtitled in japanese. As we do every year we select also one important partnered centre among academies and universities to provide some joint- contents for our mission. For this edition we’ve chosen IED Istituto Europeo del Design (european design institute) that presented works of some students collected in specific sections of the exhibition. The municipality of Osaka is Twinned City with Milan and candidate for being designated the city of the next World Expo 2025. For us this frame has an important meaning if we consider that Switch on your Creativity was born on 2013 as creative contest in behalf of promotion of Milan Expo 2015 that officially patronised two edition of our contest, including the second that has taken place during the year of EXPO in Milan. Yesterday the project has been introduced in Japan to Osaka City Government directly to the Director for Business and International Promotion Economic Strategy Bureau at the presence also of representation of Comune di Milano (Milan City Government) and the director if Italian Institute of Culture. The meeting pointed out a preliminary cooperation’s schedule to develop Design as important content of our mutual agenda for the next year.